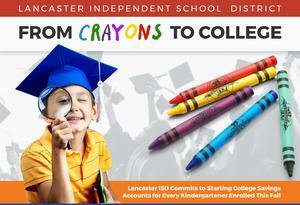 Beginning this year, the Lancaster Independent School District will open 529 Savings Plans for all incoming kindergartners enrolled by the close of October. 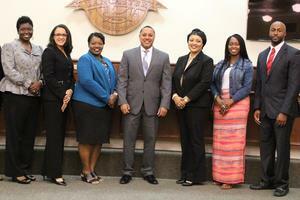 The School Board announced principals for two elementary and three secondary campuses and confirmed its selection for the district’s alternative learning campus during its recent Called and Regular School Board meetings. Lancaster ISD staff are eagerly preparing to see our Tigers and their families! Parents, be sure to mark your calendars and attend the back to school event planned for your campus. 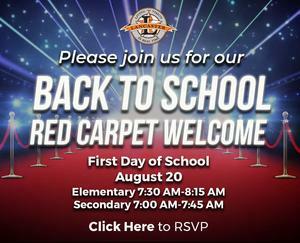 The Lancaster Independent School District cordially invites you to join us for our Back-To-School Red Carpet Welcome on the first day of school, Monday, August 20, 2018. We would love for you to help us promote the importance of education as we welcome our students back to school, opening car doors and greeting them as they walk the “red carpet” on their first day of school. This is an opportunity for leaders to show our students that there are positive role models within our local community who care, value and support education. Parents, do you want MORE for your child this school year? In Lancaster ISD, we are a K-12 STEM District that offers MORE for our students - MORE academic options and experiences, MORE rigor, MORE choices and MORE opportunities. 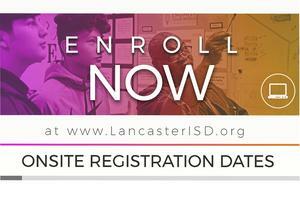 We invite you to experience the "More Than a Diploma" initiative in Lancaster ISD by enrolling your child today during the selected dates and times between July 30 and August 9. 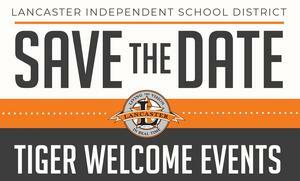 As we prepare to welcome our staff to the Lancaster ISD 2018-2019 academic school year, we would like to allow them to connect with and receive a warm welcome from the local and essential businesses in the community. If you provide goods and services relevant to the teaching community, sign up to participate in our upcoming annual convocation vendor fair on August 8. A high school diploma used to be the end goal. But today, it is just a ticket to the middle class! In Lancaster ISD, we are a K-12 STEM District that wants MORE for our students - MORE academic options and experiences, MORE safety and security, MORE instructional resources and highly-qualified educators. What if there was a way to bring MORE revenue into our schools while lowering your tax rate? 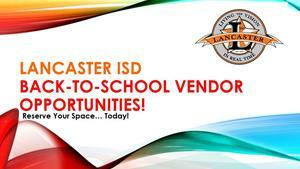 Lancaster ISD is in a unique position right now to do just that through a tax rate Swap & Drop.